Born in Genoa (Italy). She works with groups: adults, cultures and especially teenagers dropping out from school. She loves to find ways to create encounter possibilities for everybody from the “place” where they are and to facilitate everyone’s true personal expressions. 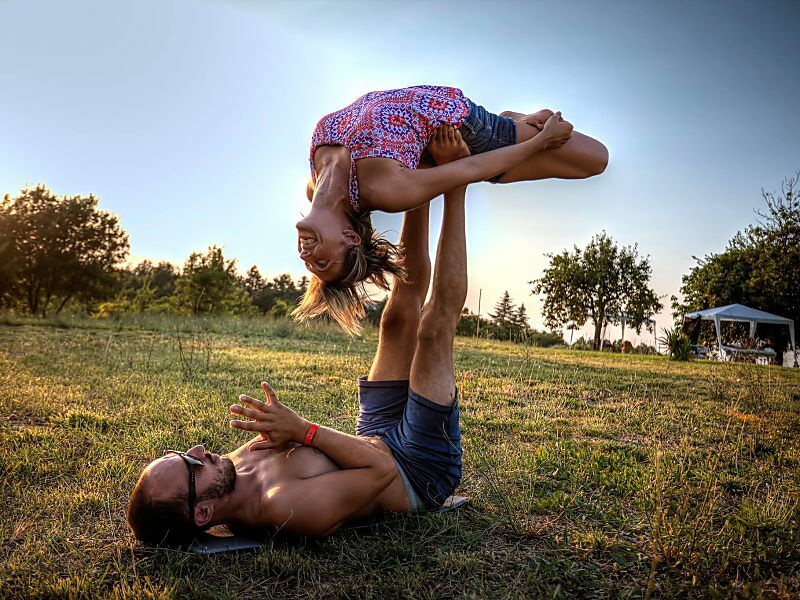 She felt in love with Yoga and suddenly with AcroYoga where body, heart and breath are the encounter places building up creative relationships. Certified level 2 teacher by AcroYoga Montreal in 2012, since then she’s engaged in spreading the joy and the love of Acroyoga with passion, training and irony and fun! She attended the Thai Massage course 1 level with the amazing teacher, Laurino and she's Vinyasa Yoga Teacher (RYT200h). She's now also very proud to be part of the AY International family as LEVEL 2 Teacher! She's engaged in training hard her Solar path and dreaming to become a AY Solar Teacher Immersion with her husband. With her husband Francesco Semino, they are known as Acroseeds and they teach workshops and retreats all over Italy and Europe. Together they are building a retreat place, (check it on www.bewater.love) where with their brother Thai Masseur, Valerio Calisse, they are engaged in spreading a way of flowing with life. She loves cooking vegan delicious food and spending time in Mindfulness meditation.